Where does the time go? I can’t believe it’s back to work tomorrow! I’m not ready, I think I need a three day weekend! Matter of fact, I think we all need a three or maybe four day weekend! Speaking of work I have a gross, but funny story to tell you. On Friday my co-worker came into my office and she’s talking, and all I thought was ewww, she came into my office and farted! I never said anything to her, but I thought, how gross. Then she left my office and I noticed 10 minutes later it still smelled like farts. I thought dam her fart is lingering, what the heck? So gross! Wishing I could open a window or something. You should know, just a few minutes before she came into my office I had a snack pack with carrots and broccoli, I ate the carrots but never touched the broccoli, they looked a little to yellow. So anyway I looked in my garbage and the fart smell was the broccoli! Ewww, I started to laugh! I went to her and told her that I thought she farted in my office, you should have seen her face! The shock!! I was laughing so hard, I was crying!! Makeup everywhere, I couldn’t breath!! Then I told her it was the broccoli in my garbage and she cracked up! Poor thing! I really did think she farted in my office. lol I told her we should put the broccoli in our boss’s office, oh boy, we laughed about that one!!! I could only imagine what he would say! I know that was such a gross story to tell, but it made me laugh and I just had to share it with you. You may think that you can’t believe you read this and it’s totally gross for me to even type it, but think what you want, farting is a natural thing, no matter how stinky it may be!! Please, just don’t do it in my office! I’m just so glad I didn’t eat the broccoli!!! 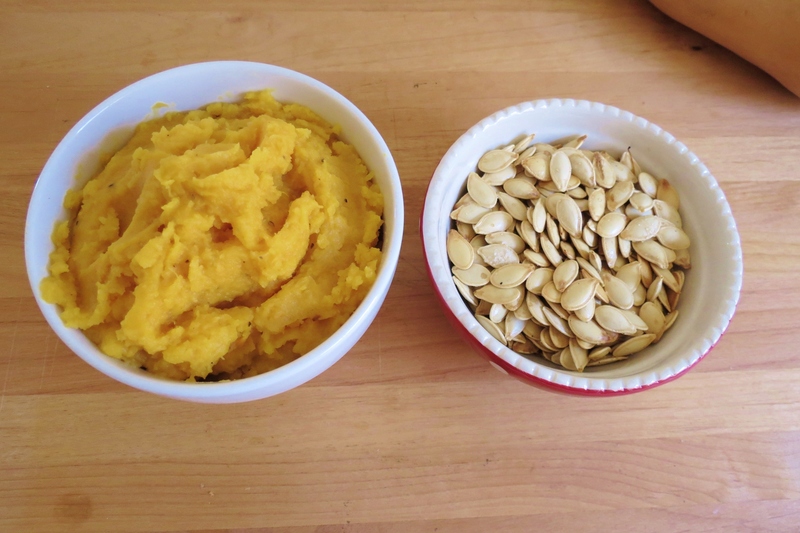 Monday – How to make Pumpkin Puree and the Perfect Pumpkin Seeds 101 – I put these directions into my Helpful Kitchen Tips. I’m glad I made my pumpkin more savory by adding olive oil, salt and pepper. Early next month I’ll be sharing with you what I made with it. 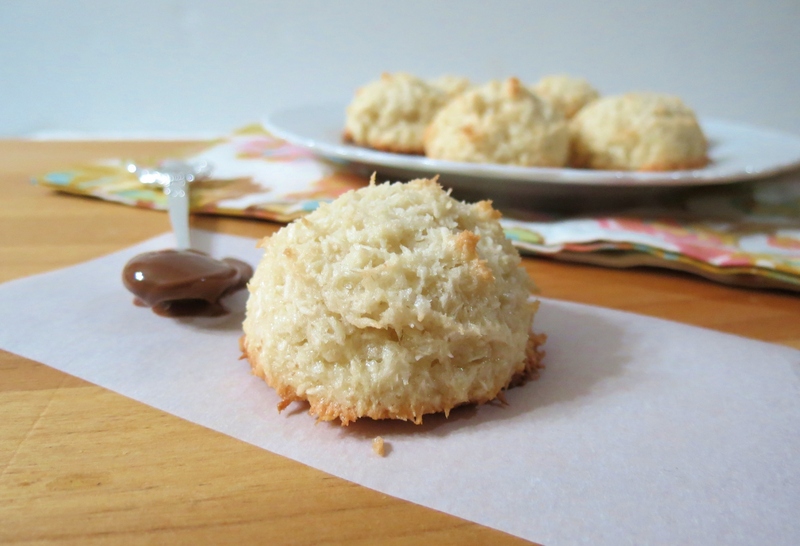 Tuesday – Coconut Macaroons – I loved these cookies and I am so proud of them. There very easy to make and they taste so darn good. If you like coconut I think these cookies are for you!! 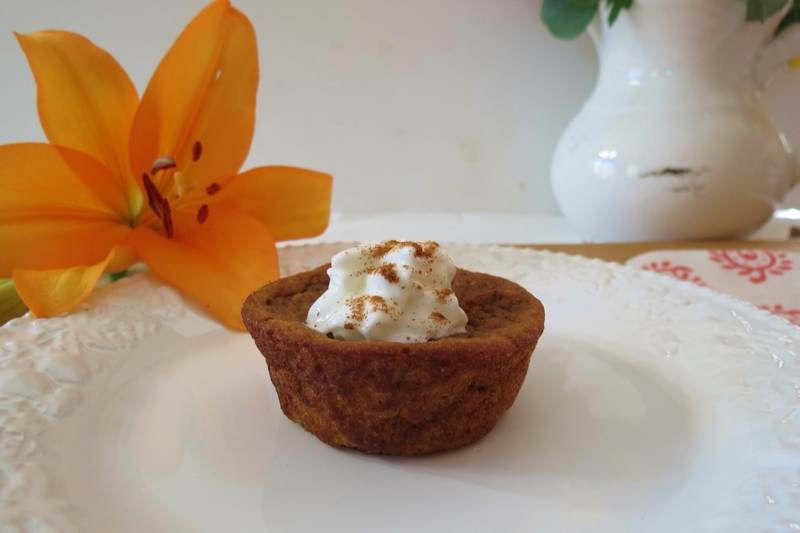 Wednesday – Pumpkin Pie Muffins – Oh my gosh I love these little muffins! Glad I was searching on Pintrest and found them. They taste just like pumpkin pie with out all the calories or the crust!! These were a hit at my work! 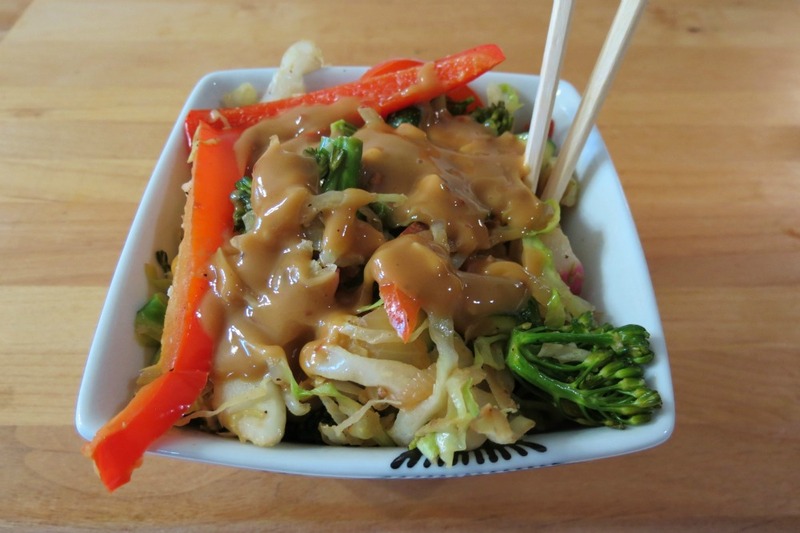 Thursday – Vegetable Stir Fry with Peanut Sauce – Why I never made peanut sauce until today, I will never know! This sauce is amazing! I need to make a big batch of it so I can put it on everything. This stir fry would also taste fabulous with chicken or shrimp! 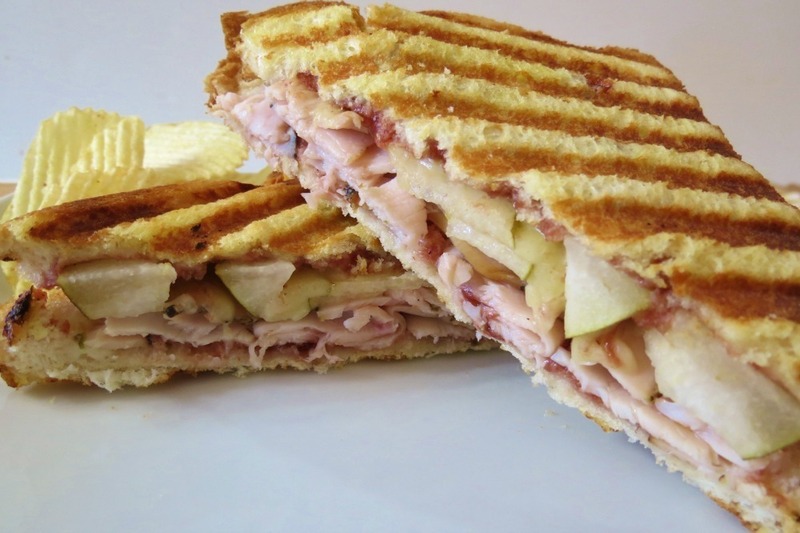 Friday – Turkey, Cranberry and Pear Panini – I loved, loved, loved this sandwich!! The combination of it all together is simply wonderful and topping it with aged white cheddar cheese! Yes please!! This sandwich will be making it to my lunch box next week!! Oh and this will be great for Thanksgiving leftovers, so we will be bringing this sandwich back then! 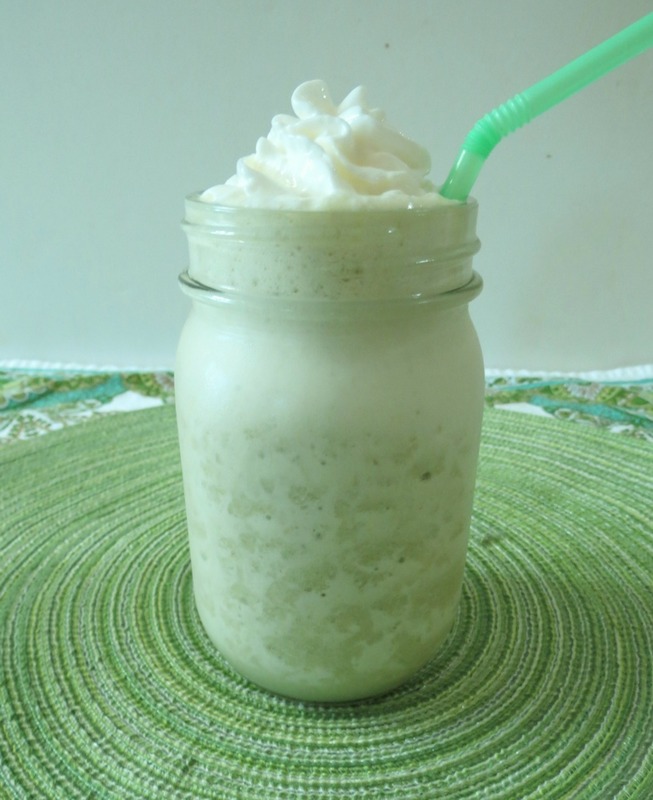 Saturday – Skinny Green Tea Frappe – This drink was requested by a few of my readers. I was really impressed with this drink. It’s not one I would normally order from Starbucks, but since I am making it at home, I’ll be sure to be making this again. The drink is refreshing and light. I love the addition of fresh honeydew melon. So much better than using high calorie sugary syrup! Well it’s been an interesting week from pumpkin, to Asian to Green Tea Frappes. Hmmm, I wonder what I’ll be creating next? I can promise you more pumpkin is on the way. I still haven’t gotten pumpkin out of my system. I just love it!!!! Well it’s late Saturday night, time for me to go to bed so I can get up early and think of my next creation. LOL I feel sorry for your coworker, that is so funny though =) Ooh I love those candycorn cookies! I can’t wait to start thinking of Halloween recipes to try. October is almost here, I can’t believe it! I can’t believe October is almost here! Time is going way to quick!! You crack me up, Jennifer! I’ll be sure to never take broccoli to work! You’ve have a yummy week. 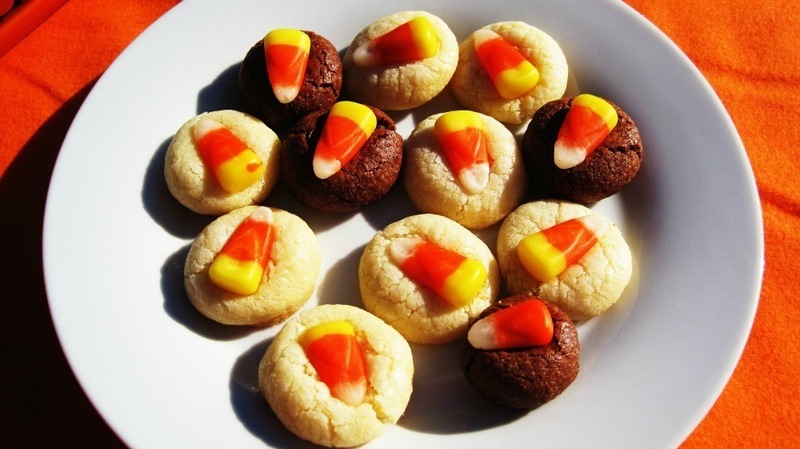 I LOVE those candy corn cookies, so fun! lol Chris! I know, no more broccoli for me, well at least at work!! Your story made me giggle! And what yummy dishes you shared this past week….I can’t even single out just one or two; they’re all great! Thank you Liz!!! 🙂 he he The story still makes me laugh!